What is Your Small Business Really Worth? Do You Know What Your Business Is Really Worth? If you found an investor for your business right now, would you know how to value a stake in it? This question came to mind while I was watching a recent episode of Shark Tank. 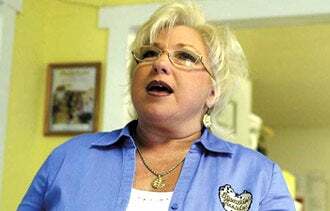 Brenda Coffman, the perky blonde owner of Blondie's Cookies, was seeking a $250,000 investment for just three percent of her business, currently a small retail cookie chain with 12 locations in Indiana and Florida. But as the Sharks dug into her numbers, they found big problems. In calculating the value of her business, Coffman had neglected to factor in her company's substantial debt. Blondie's had gotten $900,000 in bank loans to expand to Florida and open four stores at once. Pardon the pun, but that's a lot of dough for a company that did just $2.2 million last year. On top of that, Coffman reported that those new Florida stores are currently losing money. Expanding to a market far away from the one where Blondie's is an established local favorite was a big gamble that wasn't yet paying off. Choosing a far-off market for the first big expansion is a rookie blunder that can push a budding chain to insolvency. Part of the art of finding investors is the timing. If Coffman had waited another six months to a year, she might have had better numbers to report on the new stores. But investors don't like question marks in the business. The final issue with her pitch: she should know the Sharks don't take tiny equity stakes. They want 50 percent or more to get involved, like most real-world investors. To land investors, you've got to know what your business is worth, and you've got to know your investors, too. It seemed like Blondie's had a great product -- the Sharks were swooning over their samples. But Coffman didn't have a realistic sense of her company's worth, and the Sharks all passed. Entrepreneurs tend to be in love with their business and think it's great. It's easy to forget that investors view it without the rose-colored glasses, and mostly from the point of view of the balance sheet. Do you know the value of your business? Leave a comment and tell us how you arrive at your figure.